Well, that was the shortest article I have ever written! Yes, we rather like WordPress. We have worked with WordPress since around 2007 and it is our CMS of choice for every web project we undertake. It is easily the most popular content management system (CMS) on the planet. It accounts for 60% of the websites that use a CMS on the internet. It powers 1 in 5 new websites online and helps a staggering 100,000 websites go live every single day. 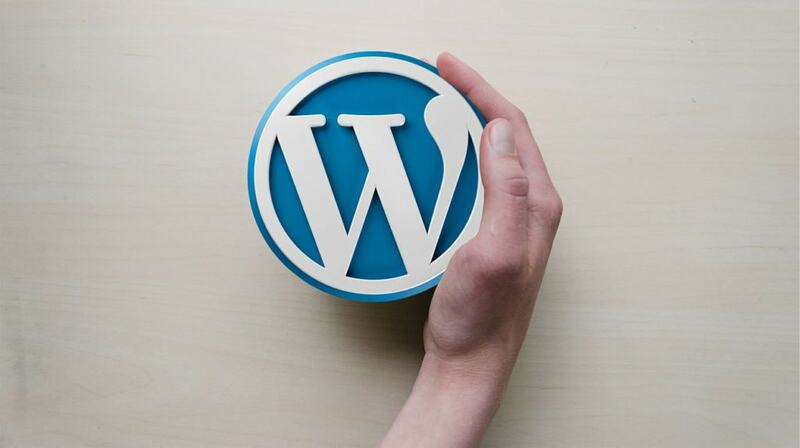 So here are the top 10 reasons why we think you should be using WordPress for your new website. This means there are literally thousands upon thousands of developers working day and night to improve the system. And none of their hard work will cost you a penny. Regular, free security and feature updates? You bet. Can you say that about your website provider? No matter how hard other website providers try to convince you otherwise, they simply will NEVER have the resources open to them that an open source CMS provides. Flexibility is also key and WordPress can easily keep up with the ever-changing web landscape. The complicated coding of proprietary website cms software often makes it difficult to adapt to changes in the sector. Need an add-on for your website? The WordPress plugin repository has literally thousands of ready to go add-ons, the majority of them free. Most website companies use their own locked proprietary systems. They sell you on the CMS and its ease of use. The truth is that these systems can never hope to compare to what WordPress can offer, and more often than not they are playing catch up and try to emulate what WordPress can do, just not as well! And once they have you in a contract, then you will find it incredibly hard to leave. The reason for this is that once you start using their systems, you are locked in for life. If you decide to leave, you basically lose your website and need to start again from scratch. With WordPress, you will never be tied to long contracts, and you can change suppliers with ease. Time and time again, our clients are astounded when we show them their new website for the first time and walk them through how straightforward their new administration will be. They just can’t believe how easy it is to publish articles and change content. Because WordPress is so incredibly popular and easy to use, it becomes much simpler and faster to train new website editors when they join your company. There is a very good chance that your employees have worked with the WordPress CMS before so any training needed will be minimal. WordPress is now over 10 years old. It isn’t buggy and won’t crash your website. WordPress has been around for 10 years, and in that time it has been enhanced, tested and refined to within an inch of its life! In the process it has evolved into the world-class publishing system we use today. WordPress has an incredibly flexible and powerful user role management module built in. User roles that are available include super admin, admin, editor, author, contributor and subscriber. These are all options for different levels of access to the CMS. The foundations of WordPress are built on it being a solid blogging/news platform. If you are familiar with using Microsoft Word then you will be right at home with the publishing toolbar in WordPress. Other really helpful functions are included such as preview a post, schedule a post to be published at a later date, post revisions and many more useful functions that will save your team so much time in the long run. WordPress has comprehensively peer-reviewed source code. Huge organisations who need to be hot on security like Facebook and the Government use WordPress. WordPress has a solid code base, fantastic support and continuous development which make it one of the most stable and safe-to-use pieces of website software out there. WordPress provides you with a solid foundation for your website to score highly in Google search. In fact, WordPress is the CMS of choice for the vast majority of SEO agencies in the world. We have written an article that explains why Google loves WordPress for SEO in greater detail. Need to add a booking system to your website? Easy. How about a forum? No problem at all! Because of the sheer amount of people working with the WordPress system, there will always be a solution on hand for anything you need to add to your website.